A decibel meter is a measuring instrument used to assess noise or sound levels by measuring sound pressure. Often referred to as a sound pressure level (SPL) meter, decibel (dB) meter, noise meter or noise dosimeter, a sound level meter uses a microphone to capture sound. The sound is then evaluated within the device and acoustic measurement values are displayed. The most common unit of acoustic measurement for sound is the decibel (dB); however, some sound level meter devices also determine the equivalent continuous sound level (Leq) and other acoustic parameters. With a portable decibel meter, industrial hygiene and workplace safety professionals can measure sound levels in multiple locations to ensure environmental conditions fall within recommended exposure limits (RELs). Some sound level meter devices can be permanently installed for continuous monitoring of sound levels at a work or job site. An important attribute to consider when searching for a suitable sound level meter is its type or class. The type or class of a decibel meter defines the device's accuracy as per American National Standards Institute (ANSI) or International Electrotechnical Commission (IEC) guidelines. Typically, "type" is the grade according to the ANSI S1.4 standard, whereas "class" is the grade according to the IEC 61672 standard. There are two types or classes assigned to decibel meters: type 1 / class 1 or type 2 / class 2. For assessing noise in basic industrial, commercial, educational, recreational or residential applications, a type 2 / class 2 decibel meter usually will suffice. For precision-grade assessments often made in a laboratory, a type 1 / class 1 sound level meter primarily is used. PCE-branded decibel meter products are lightweight, easy-to-use and manufactured in accordance with the highest industrial standards. The Decibel Meter PCE-MSL 1 is a simple sound measuring device. The PCE-MSL 1 decibel meter is used to quickly determine the ambient noise level. In addition to the volume measurement, the PCE-MSL 1 noise meter also has the option of determining the ambient temperature. The measurement of background noise is important in almost every situation today. PCE-353 is a Decibel Meter, sound pressure level (SPL) meter, decibel (dB) meter, noise meter or noise dose meter used for acoustic measurements. With this meter, you are able to measure sound exposure level (SEL) as well as equivalent continuous sound level (Leq), measurements commonly used in assessing industrial noise. PCE-322A is a handheld, portable, professional Class II sound level meter or decibel (dB) meter with built-in data-logging or data-recording functionality. Thus, PCE-322A is ideal for real-time noise measurement as well as for long-term noise exposure monitoring over time. PCE-322A is a handheld, portable, professional Class II sound level meter or decibel (dB) meter with built-in data-logging or data-recording functionality. Thus, PCE-322A is ideal for real-time noise measurement as well as for long-term noise exposure monitoring over time. This PCE-322A decibel meter comes with a PCE-SC 42 acoustic calibrator. 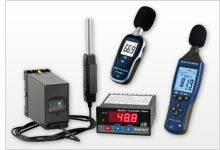 The decibel meter and acoustic calibrator are sold together as a set as PCE-322-SC42. The decibel meter PCE-322ALEQ is particularly suitable for measuring noise in the field of industrial, health, safety and environmental monitoring. The PCE-322ALEQ decibel meter has a logger function, which allows storage of up to 32700 readings. The decibel meter PCE-322A is particularly suitable for measuring noise in the field of industrial, health, safety and environmental monitoring. The PCE-322A decibel meter has a logger function, which allows storage of up to 32700 readings. The decibel meter PCE-MSM 4 has features that you will only find in other more expensive devices. The sound level meter in a slim design is ideal for mobile measurements of sound. The decibel meter PCE-MSM 4 has features that you will only find in other more expensive devices. The class 2 decibel meter in a slim design is ideal for mobile measurements of sound. It is not easy to find an instrument of this level for such a low price. PCE-428 is a class 2 data-logging decibel meter that meets IEC 60651:1979, IEC 60804:2000, IEC 61672-1:2013, ANSI S1.4-1983 and ANSI S1.43-1997 requirements. This portable high-accuracy sound level meter has a large easy-to-read illuminated LCD screen that displays the sound pressure level (SPL) numerically and graphically in real time. PCE-430 is a class 1 data-logging decibel meter that meets IEC 60651:1979, IEC 60804:2000, IEC 61672-1:2013, ANSI S1.4-1983 and ANSI S1.43-1997 requirements. This portable high-accuracy sound level meter has a large easy-to-read illuminated LCD screen that displays the sound pressure level (SPL) numerically and graphically in real time. The Class 1 outdoor decibel meter PCE-430-EKIT with integrated data logger meets all requirements for noise measurement and frequency analysis. This integrated precision pulse outdoor decibel meter kit follows all valid standards and guidelines, and is designed for use outdoors in all weather. The typical applications for this instrument are the measurement of workplace noise, compliance, environmental noise detection, selection of hearing protector selection, selection of appropriate noise abatement measures and noise exposure estimation. The Class 1 outdoor decibel meter PCE-432-EKIT can be used, e.g, for sound measurement of street noise, aircraft and train noise, event noise, noise coming from construction sites, ports, factories involving heavy machinery, airport/bus stations, stadiums, horse/motor racing tracks etc. The weather conditions do not matter, and hail, snow, rain and similar are no problem for this system for outdoor noise monitoring. The outdoor decibel meter is equipped with a GPS receiver which allows the user to assign the measured values to an exact position. PCE-NDL 10 is a high-quality decibel meter with data logging capabilities. This noise dosimeter records sound pressure level (SPL) measurements as well as dosimetry (dose) measurements in decibels (dB) and saves the measurement data to the internal memory, which can then be transferred to an SD card (SD card included). As there is no unanimous opinion what “a real beauty” is, there is no exact definition of what “noisy-very noisy”. It depends on the observer / listener and on some personal subjective perception. For sure, speaking about noise, there are certain reasonable limits which define normal and excessive noise levels, and they are based more not on the opinions of the people, but on the affect or damage the noise may cause to the human health. How to measure noise? In fact, to measure noise itself is quite an unfulfillable task, but how intense the sound is, how big the pressure, coming from the source of the sound and directed to the listener, is – is absolutely and easily doable, for example, with the help of the decibel meter. Human ear catches any sound vibration coming from any possible source: musical instrument, voices, autos, equipment. Sometimes the sounds are hardly heard, but sometimes unbearably loud. Decibel meter is a device capable of registering the change in vibration or pressure frequency in the air and presents the measurement result in decibels, which are units for measurement of sound strength. For all who work with decibel meter it is important to understand that the mathematical linear rule “2+2=4” may not be applied here. Logarithmic principle does not work like we expect: 20 dB is 2 times more than 10 dB, and correspondingly the loudness is two times more intense. In fact, in this case, the loudness is 10 times higher. If the measurement value is 40 dB (which is only 4 times higher than the initial 10 dB), the loudness in fact is 1000 times higher. That is why there are strict limits as for permissible upper sound / noise levels. Human ear is not able to perceive any levels of sounds and that is the damage from very long exposure to loud noise or very loud sounds may cause serious hearing problems. Depending on the purpose and area of application, different kinds of decibel meters may be selected. They may possess data logging function, and thus give a possibility to monitor the situation over a certain time period. Or they may be used for instantaneous measurements, right here-right now. The latter are simple to use devices, but absolutely sufficient for quick noise level detection. Depending on the level and complexity of the device, only highest (Max) and lowest (Min) values may be stored in the memory or all the records made at preset intervals. The meters of a higher price class have got the function of storing and transferring data to the PC for later assessment. Basically, there are two main types or classes of the decibel meters. Since the permissible levels are all set and described in the standards and regulations, the division into classes is also carried out in compliance with the existing norms. Class 1 is more accurate and more precise and is recommended for laboratory application or studies where the smallest sound peculiarities may be detected and analyzed. 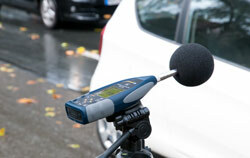 Class II is a good choice for measuring noise in the workplace, stadiums, during sports competitions etc. All sounds have different duration, some are instantaneous, some very resonant and deep, some are very monotonous, some are repeatable or changing their nature, from being very quiet to suddenly reaching their peak and then subsiding again. Decibel meter is capable of carrying out measurement at given time intervals.in addition, it takes ms for the device to detect and evaluate the sound (depending on the character of the noise, it may take from 1/10th ms to 1s). An ear works in such a way that not all sounds are perceived in the same way. And it pretty much depends on frequencies. Thus, the widest range is 500 Hz – 5 kHz – it is when the ear is the most sensitive. The device used for measurements should provide the best results, and thus, may be adjusted by application of the frequency weightings or filters. During the measurements it is important to select the correct filter / weighting so that to get the most accurate result. “A” filter is the most widely used and it is the closest to how the human ear reacts to the noise. The range is 20 Hz – 2 kHz and is presented as dB(A). “C” filter is desirable to apply when peak sound / very high level sounds measurements need to be performed (dB(C)). In the past, “B” filter was used, but there is no need in it anymore. “Zero” filter occurs occasionally and stands for no frequency response. As mentioned above, the memory in different decibel meters is not the same and in each device it differs in the number of stored data, frequency of performed recordings and the possibility of further processing on the PC. 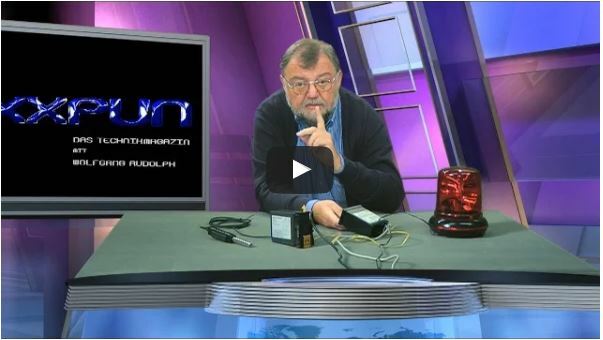 1-time measurements do not require sophisticated and expensive devices with various functions and filters, and this makes it easy for even inexperienced users to apply the device without auxiliary help. For continuous measurements of noise in the streets, near the highways, airports and anywhere where the measurement are supposed to be continuous or at regular time intervals, the data logging function is desirable. The models of the device may also vary (USB stick data logger or digital data logger with the screen), depends on each particular application. Noise in daily life and noise at work – these are two different aspects of one general issue. 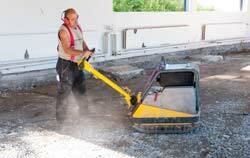 If noise in daily life may be omitted, avoided or at least reduced, noise exposure at work is sometimes unavoidable. Compliance with the Directives of the Health Organizations is obligatory and noise level monitoring is mandatory. For this application, raw data registration is important, and the device should possess filters for correct data evaluation. Here, the total sound energy (Leq) needs to be calculated with the purpose of correct evaluation of the situation in eth workplace for each worker. Based on the results of the measurement the corresponding changes, like reduction of exposure time, improvement of protective clothes at work, repair of equipment and similar, should be carried out. To evaluate the sound pressure level in acoustical assessment, octaves (the upper frequency is two times higher than the lowest limit) and third octave bands (the spectrum is divided into minimum 33 parts) are usually used.